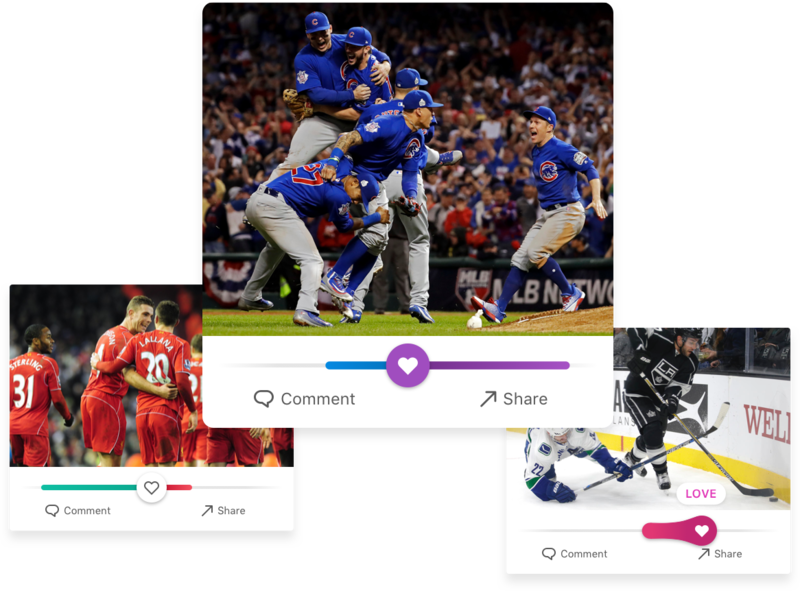 For emerging social networks, user engagement can sometimes be slow to gain traction. This is typically hidden from the user, except for one important feature that prominently displays it: “Like” counts. We set out to see if we could turn this problem into a valuable experience. Users browsing our feeds were noticing only one or two “likes” per post, and this was leaving them with a poor opinion of the community in which they were participating. As it turns out, the “like” count does quite a few things for us: It highlights posts that others find valuable, gives you the ability to express your value, and helps you discover new friends that “like” similar things. What all these additional functions reveal is that simply faking or removing the numbers does nothing to nurture a strong network. I began ideating on various ways to both receive and display emotion from the user. 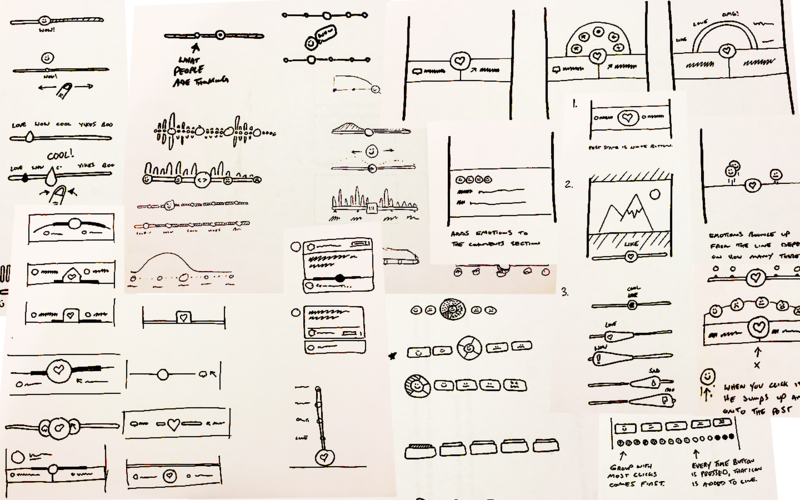 From the pencil sketches we selected the options that best aligned with our objectives, created low-fidelity wireframes to help further explain their functionality, and pitched these to key stakeholders. 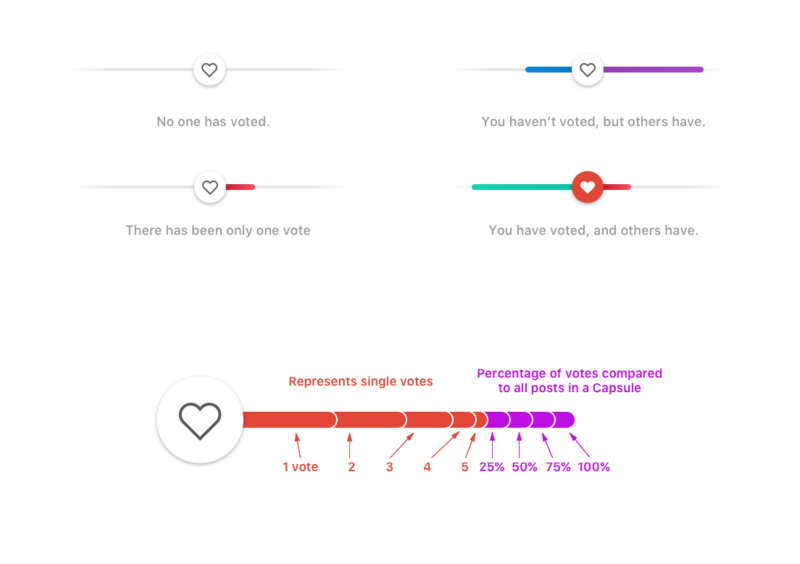 Two options began to stand out: The first utilized faces as a graphical representation of how the user felt. The emotion with the most votes was prominently displayed as the sentiment of the post. 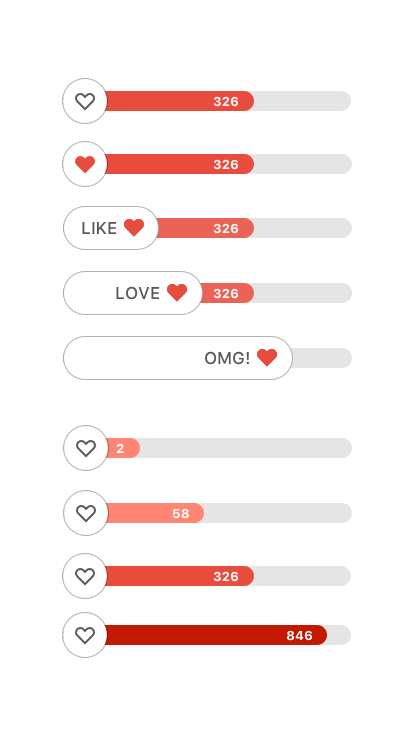 A second option was a binary representation of the total number of “likes” a post received. After several rounds of functional prototypes, in-house user testing, and product team discussion, we decided to move forward with a hybrid of the two. This version allowed the user to simply “like” a post, but also tap and hold to unlock stronger positive emotions and stronger sad emotions. Total votes are represented using both a positive and negative bar graph so other users could see the overall sentiment. Tap to add a basic “like”. Or, if you want to really express yourself, hold and slide. The bar behind the button grows to the left and right depending on the number of positive or negative votes. This project is still ongoing. I’ll update when we receive final results.